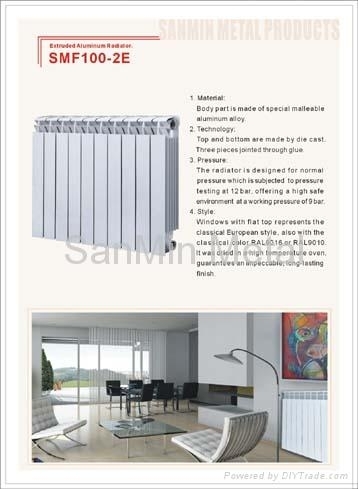 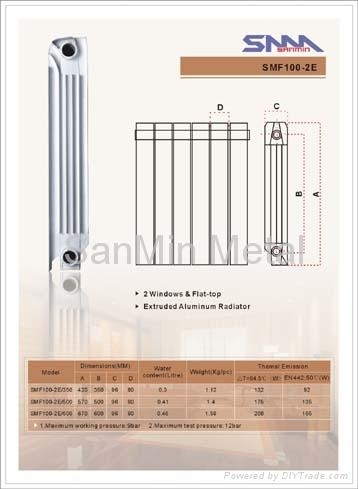 Ninghai SanMin Metal Products Co.,Ltd was established in 2000 as a professinal manufacture and exporter of heat radiators in China. 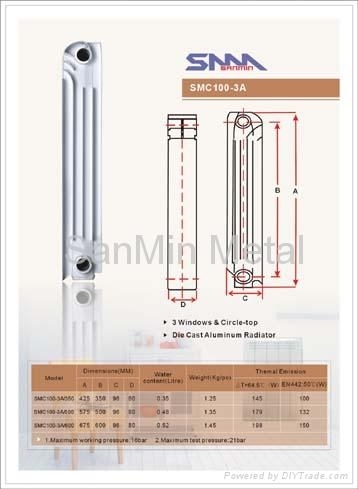 SanMin Metal is located in south part of Ningbo,which covers an area of 50.000M2 and has a staff of 300 odd people,it has transport facilities with only 60km away from Ningbo airport. 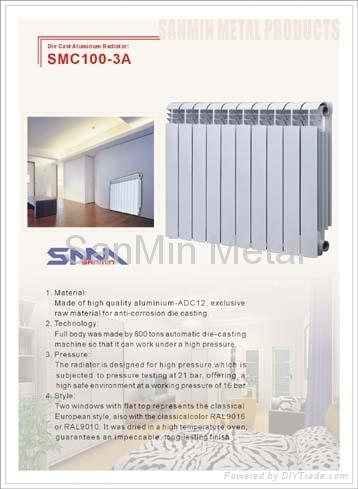 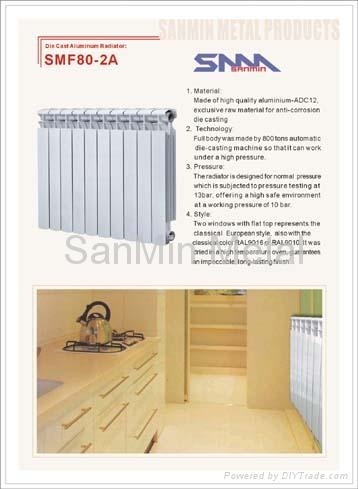 With the abundant moulds and aluminium alloy resources in local area, SanMin metal has engaged in researching and developing, producing and selling series of Aluminum Die-Casing Radiators. 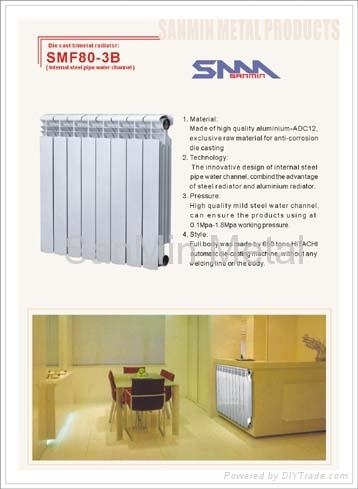 We now offer the most comprehensive range of designer radiators in all colors, size and designs, to meet all kind of clients’ demand. 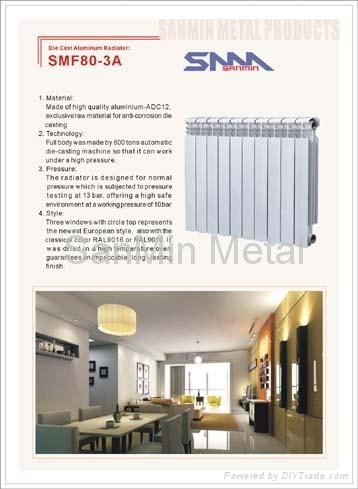 With "quality-oriented" rule, we offer a wide range of product lines and directly control the complete manufacturing procedure from materials sourcing to finished products,so as to ensure that the products we supply are of the highest quality and are consistent from order to order. 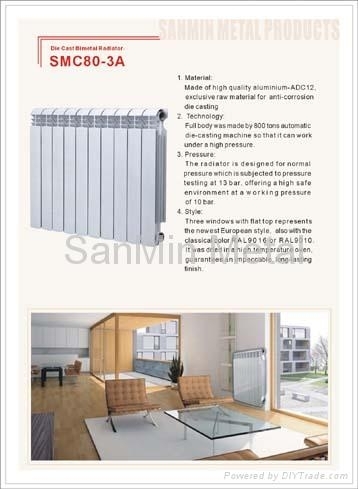 Our Products support OEM business which are marked under customers’ brands or logos and sold in the market of Russia , Italy,UK and other European markets. 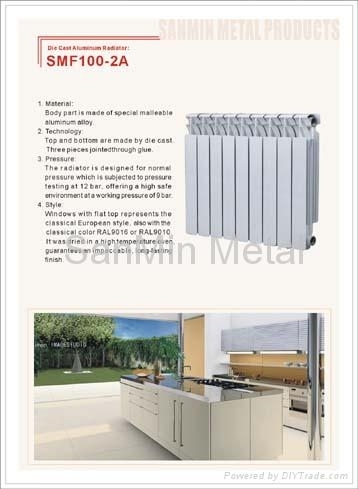 We hope that we can build a great camping world together with you in near futhure.So please come and give us some opportunity to show you how good we are in pricing,product,delivery and service.